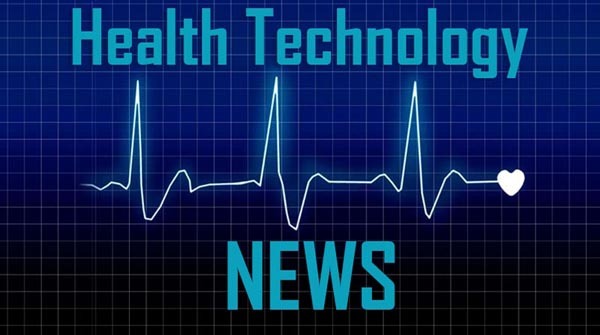 DENVER, March 29, 2019 /PRNewswire/ — Medicine Man Technologies, Inc. (OTCQX: MDCL) (“Medicine Man Technologies” or “Company”), a rapidly growing, vertically integrated cannabis operator, today announced that the Company will present at the Spring Investor Summit being held on April 1-2, 2019, at the Essex House in New York City. Joe Puglise, COO of Medicine Man Technologies, will deliver an overview of the Company, highlighting two pending acquisitions of MedPharm Holdings, LLC, and Medicine Man Denver, and provide an overview of its financial and operating performance as well as details on its strategic goals as a vertically integrated cannabis brand and operator. Mr. Puglise will also serve as a guest speaker for the Cannabis Panel at noon ET, which will focus on key industry trends and address relevant questions regarding the revolutionizing of cannabis in recent years. Mr. Puglise will be available for one-on-one meetings with investors. The Spring Investor Summit is an exclusive event dedicated to connecting small and micro-cap companies with high-level, institutional, and retail investors. The event’s focus is to highlight the most captivating publicly traded companies under $5 billion in market cap across all industries and sectors. The conference will feature 200 presenting companies, 1,200 institutional and retail investors, 2,000 one-on-one meetings, as well as a variety of industry-specific panels. Medicine Man Technologies is a fully integrated operator in the cannabis industry, offering consulting, retail pharma-grade products, and turnkey solutions for cannabis cultivators for over a decade. Medicine Man Technologies is leveraging its expertise and intellectual property to vertically integrate retail, cultivation, formulation, and distribution operations. The Company’s client portfolio includes active and past clients in 18 states and seven countries. This press release contains “forward-looking statements.” Such statements may be preceded by the words “intends,” “may,” “will,” “plans,” “expects,” “anticipates,” “projects,” “predicts,” “estimates,” “aims,” “believes,” “hopes,” “potential,” or similar words. Forward-looking statements are not guarantees of future performance, are based on certain assumptions, and are subject to various known and unknown risks and uncertainties, many of which are beyond the Company’s control, and cannot be predicted or quantified. Consequently, actual results may differ materially from those expressed or implied by such forward-looking statements. Such risks and uncertainties include, without limitation, risks and uncertainties associated with (i) our inability to manufacture our products and product candidates on a commercial scale on our own, or in collaboration with third parties; (ii) difficulties in obtaining financing on commercially reasonable terms; (iii) changes in the size and nature of our competition; (iv) loss of one or more key executives or scientists; and (v) difficulties in securing regulatory approval to market our products and product candidates. More detailed information about the Company and the risk factors that may affect the realization of forward-looking statements is set forth in the Company’s filings with the Securities and Exchange Commission (SEC), including the Company’s Annual Report on Form 10-K and its Quarterly Reports on Form 10-Q. Investors and security holders are urged to read these documents free of charge on the SEC’s website at http://www.sec.gov. The Company assumes no obligation to publicly update or revise its forward-looking statements as a result of new information, future events, or otherwise.